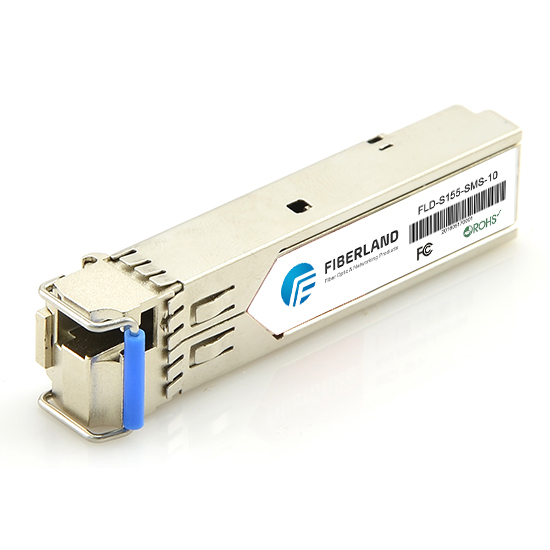 If you're looking for versatility in your transceivers, look no further than Fiberland's line of 40G QSFP+ transceivers. Perfect for multi-lane data communication, interconnecting applications, datacom switches, data aggregation and many more applications, the 40G QSFP+ can meet the demands of your data center. There are many options and variety to choose from to fit your demands. Let's take a look at the options available from Fiberland. Like all QSFP+ modules, the QSFP+ SR & eSR are designed to support SCSI, InfiniBand SDR DDR & QDR, 40G Ethernet, TOR Switch and other communications standards. This short range transceiver, 100m and 300m for the SR4 and eSR4 respectively, uses MPO/MMF interface and 850nm lasers. The short distance is perfect for most data center applications and usages particularly in connecting Ethernet switches to 12 lane OM3/OM4 cables. This allows for high bandwidth optical links with multi-fiber connectors (MTP/MPO). The other advantage of the SR4 is the low power consumption at less than 1.5w. Fiberland tests and certifies every transceiver to make sure it's fully compatible with your system. This is the perfect choice for your inter-data center needs. While the SR4 & eSR4 provide high quality, short-range performance, the LR4 & ER4 are designed for longer range applications. Also different from the SR4s, the LR4s run on LC Duplex or SMF interfaces. Combining two strands of fiber and four CWDM wavelengths, the cable delivers data at a rate of 10Gbit/s per wavelength. This allows them to not sacrifice performance for length. The ranges vary with the 2km LR4 Lite, 10km LR4 and 30km ER4. The only difference between the ER4 and LR4 is that the ER4 uses APD RX, which is common in longer distance transceivers, instead of PIN. The LR4 & ER4 cables are perfect for data center to data center connectivity or internet exchange point sites. For your long range transceiver needs, Fiberland always has LR4s and ER4s in-stock and ready to ship. If you're looking for a transceiver that provides both intermediate range and MPO/SMF connectivity, look no further than the Fiberland QSFP+ PSM(Parallel Single Mode) IR4 and LR4. Giving the same output and performance as the standard SR4 and LR4 modules, the PSM provides the variability to split the connection into 4x10G connections. This is great for servers that want to maximize their server space and connectivity. The IR4 & LR4 models use 1310nm wavelengths and have a maximum reach of 1.4km & 10km respectively. Fiberland makes sure that these products are compatible with all systems and networks in our state of the art testing facility.